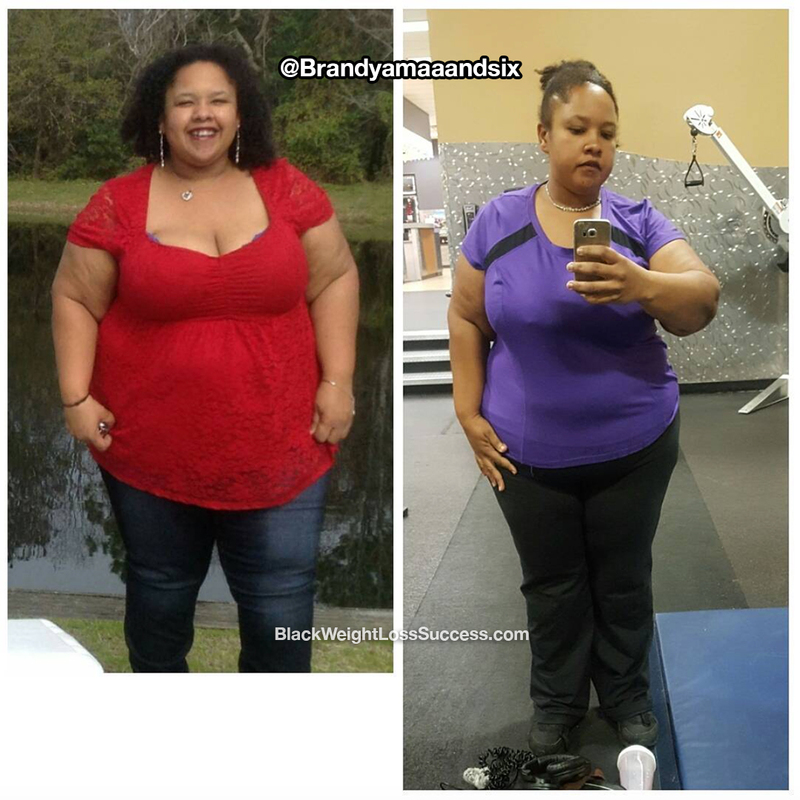 Transformation of the Day: Brandy lost 70+ pounds. This mother of six experienced significant weight gain with each pregnancy. She found herself self medicating with food to deal with the pain of feeling alone and unloved. One day, she realied that she had to change her life, not only for herself but for her children. Good nutrition and exercise changed her life. I am a mother of six. 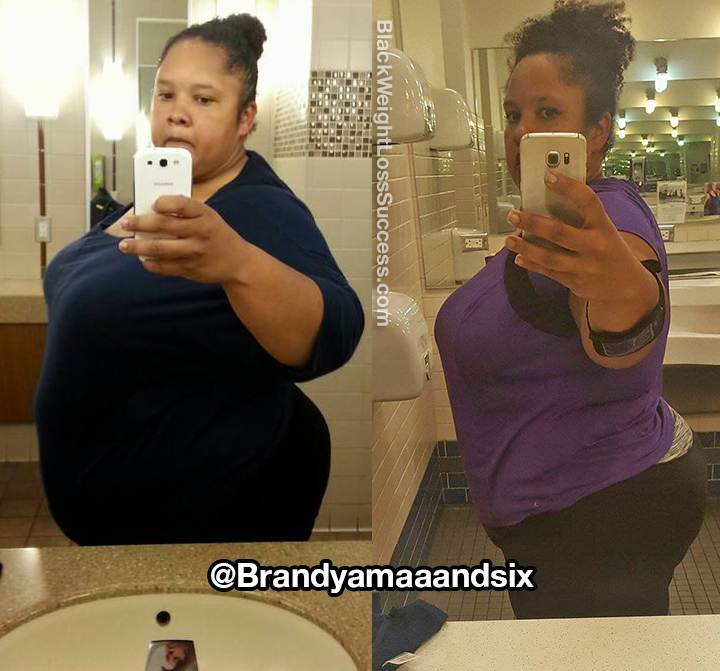 With each pregnancy, I saw 50 pounds added to my weight. Eventually, reached my highest weight of 383 pounds at 5’4″. I would get depressed with each pregnancy because I’d be left alone, and I felt unloved and alone thru it all. After giving birth, I’d just fall into a slump, which led to more and more eating. My love life was the pitts and it was the biggest contributor to my weight gain. My kids were all that I had and all I needed. They made my life complete. Food was not adding to my happiness, it was actually just covering the pain. I kept asking, “What is wrong with me?” and never asked what was right with me. I’d go on hidden diets, not tell anyone about it and quit when I lost motivation. I’d start going to the gym, then I’d stop and do it all over again. The will was in me, but there was no push to make it happen long term. Adding to this, I have a child who was also gaining weight and who didn’t feel beautiful. I felt like I couldn’t help her because I wasn’t feeling great about myself either. One day it all snapped for me. How was I supposed to expect someone to love me if I couldn’t even love myself? How was I supposed to teach a child that she is beautiful when I couldn’t even teach myself? 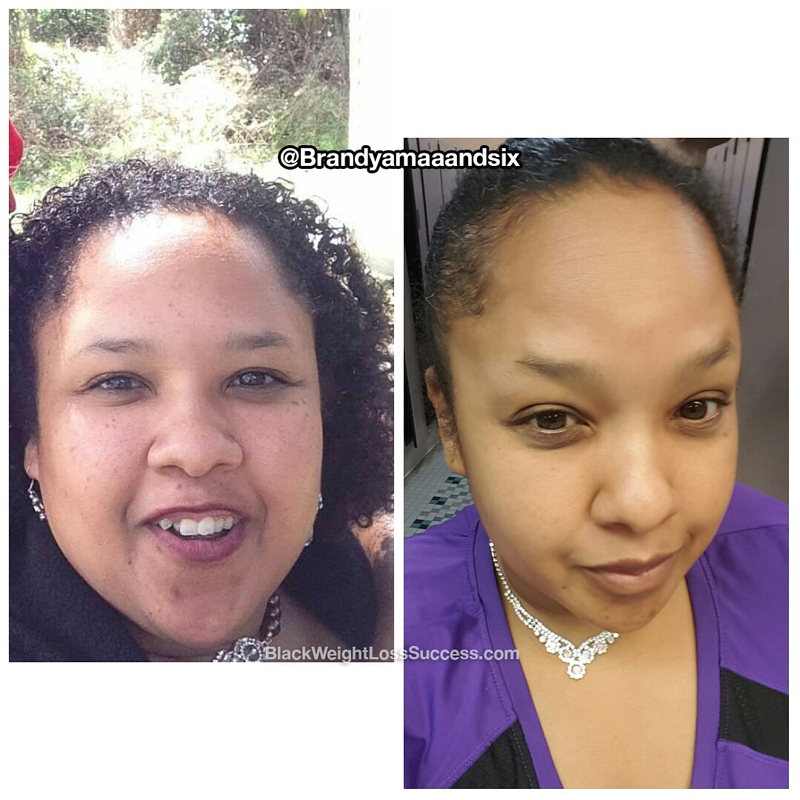 I started my journey in September 2015. I knew that my first mission would be to grab the tools I needed to succeed. That included a gym pass, clothes for the gym and protein. I also had to do my research on how to exercise to get better results. I nailed it by losing 10 pounds in one month. One day when I visited my cousin’s girlfriend’s Herbalife shop, I was offered a protein bar. I declined because protein bars are nasty, right? Well, think again. She told me, “Don’t tell me that my product is nasty. You haven’t even tasted it.” So, I tasted it and to my surprise it was delicious. The bar tasted just like a almond joy and it made me want to try some of the other products. I realized that I could actually deal with eating somthing like this. After that, it was a wrap and I was hooked. I supplemented two shakes for 2 meals a day and ate one healthy meal. I stopped was drinking soda. I also stopped eating potatoes, bread and going out to eat. I started meal planning with lots of veggies, chicken and fish (beef was feeling too heavy for me). If I ate out with my kids, I would share. For example, I’d cut a burrito in half and share with my kids so I wouldn’t eat the whole thing. I also stopped eating off of my kids plates. Leftover food from their plates was now either thrown away or saved for them to eat the next day. I have 6 kids, and in the past I was eating about 4 kids plates along with mine when they didn’t eat their food. Started going to the gym during my lunch breaks, and started lifting weights (which works slower then cardio in terms of progress but works beautifully when it comes to defining curves). My lunch breaks consisted of super fast workouts and showering, which gave me at least a 20-25 minute workout. I got better with using the machines and started going early in the morning because I wanted to get an hour long workout in. After I saw the progress I made during my first month, I wanted more. When I would want to give up or cheat, I would say to myself, “You are only cheating yourself and your kids. Everytime you stop, 2 months go by were you could have gotten progress.” I eventually made a journal of my journey on Facebook, and invited a few friends onto to my page that they could share my progress. During the first month of doing this, I lost 25 pounds. I got so much input and congrats. Then I realized that some of these proud supporters were in my situation. I realized that someone else out there might be was looking for their solution. I made my journey public after that, via Snapchat, YouTube, Instagram and Facebook. I reached out to people like me, to show them that we can all do it. As I did this, my confidence increased and my motivation shifted. I felt lik I could not quit because I was doing this for all of us. I’m as real as they come and I am here to help others. I now weigh 308 pounds, with muscle attached, after a 1 year and a half. (I’ve lost 90 pounds during the course of my journey.) I let people know that we are only human and as long as we get back up each time we fall, we will be just fine. I’ve stopped a couple of times during my journey, but I got myself back together each time. I work out 5 days a week now. I lift weights and I’m gaining lean muscle, so pounds actually became a less important measure of my progress after getting on the scale and seeing the same the weight most of time. I took to taking pictures and was able to see my progress. I LOVE ME NOW and I’m still going. I have helped a few of my supporters to start their journeys, and I’m helping my daughter to love herself more as well. Advice: Sometimes the scale can be your worst enemy when it doesn’t show your progress after you have been working so hard. I suggest taking pictures every other week so that you can see inches lost vs. numbers on the scale. Believe in yourself. Love yourself. You are beautiful. BELIEVE THAT YOU CAN DO IT! There is a big difference between the two pictures, the think I find so motivational to keep on my diet plan. in addition to I had liked the tips and info in this article.